January 28 is Data Privacy Day, an international holiday whose goal is to raise awareness and promote privacy and data protection best practices. 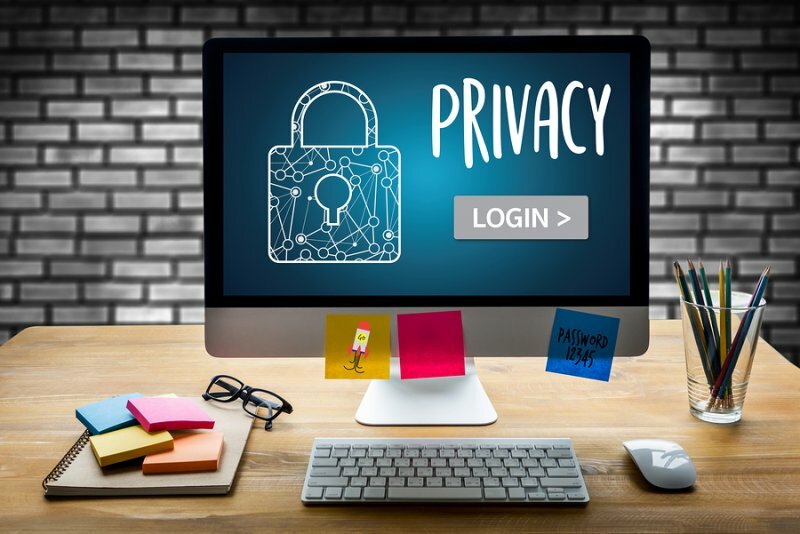 The increasing number of incidents involving the exposure of personal data over the past years has led to data protection and privacy becoming more important to individuals, companies and governments. Companies that have taken steps to protect sensitive information may be seeing other benefits beyond compliance, and organizations that have fallen behind are facing complaints and fines. Industry professionals have commented on the importance of privacy and the implications of the failure to protect sensitive information. “Data privacy has been in the news a lot lately, from the EU’s General Data Protection Regulation (GDPR) to California’s Consumer Privacy Act (CCPA) -- but do these laws do enough to actually protect consumers? In short, no. The new privacy legislation still isn't doing enough because there's very little that's explicit about data security, using vague language defining ‘reasonable security’ and opening the door for confusion and misinterpretations. You really can't have privacy without security. As we’re seeing, user credentials are already for sale on the Dark Web. From the dozens of large breaches we saw in 2018, we’ve learned that many enterprise backend systems and databases are vulnerable because of the applications accessing them. Companies can’t simply protect their networks to keep consumers safe, they must also implement strategies that include strong detection and reporting of the health and status of applications both inside and outside of their networks. Consumers need to increase their concerns and expectations of vendors around security; and security vendors must adopt a security by design (and by default) approach for the end-to-end data journey. “Organisations must embrace and capture new opportunities driven by digital transformation or risk being left behind. But this transformation need not come at a societal cost - data privacy is all about ethics, fairness and transparency. Leveraging resources to be competitive and sustainable is reached by knowing how to curate data to help achieve business objectives, whilst remaining both trustworthy and accountable. Our research found organisations who have invested in data privacy are already feeling the financial and operational benefits. This, combined with the probability of losing more than $500,000 in a data breach stands at 37% for GDPR-ready businesses vs 64% for those expecting to be ready in over a year, highlights the importance of organisations taking data privacy seriously. “Whether at work or play, we’ve all become more dependent on digital data. As a result -- and due to some high-profile data breaches -- we’re starting to see more focus and requirements around how to secure data and networks, and how to give people more control over their personal data. The European Union’s recently enacted GDPR is one example of this trend. Data privacy is important. But compliance on this front is no easy task. One challenge is the distributed nature of data. If I send an email to you, you may share it with two others, and they may send it to additional recipients. So, if you need to find that data later, it can be like herding cats. That calls for data consolidation, which creates a single source of truth. That way people don’t have to replicate data to share it. Instead, they can simply access a single data set. “Assume all of your credentials have already been stolen, even those credentials that haven’t been created yet. Due to the frequency of data breaches, we all must operate under the assumption that it’s only a matter of time that we become aware of the fact that our credentials and personal information are compromised. Protecting our citizens' identity and privacy requires new regulatory measures and the collaboration of private and public sectors including all (large or small) companies that today are taking overt advantage of harvested consumer data that is readily available for corporate welfare but not well protected. “From the basic consumer's perspective: The key to keeping data that one deems private is literally that — keeping it private. There is no tech out there that can fully promise privacy of information unless it’s blockchain-based data with strong encryption that has direct access to the chain itself (so no dapps that have a company or app managing data entry). There is never any guarantee that a company truly keeps your data secure, let alone private. Most companies or applications will always have a God view or a super-admin access and that in itself is risky (take Uber for example); Although this is the case with nefarious companies with bad moral compasses, even companies with no bad acting employees may not have the security sophistication or security budgets to fully protect user information and data. “Data Privacy Day is upon us, and there is no need to mention the our just concluded ‘Annus horribilis,’ and I’m not talking about US or EU politics. Over the last twelve months, we’ve endured a constant barrage of news regarding the latest hacks, vulnerabilities, or organizations paying the price for just plain stupidity. Though IoT and critical infrastructure vulnerabilities as well as foreign attacks were top of mind, ongoing thefts of confidential financial, healthcare, and other PII data presented greater risk to enterprises and individuals. As related at BlackHat, the hackers are definitely on the offensive, with organizations playing catch-up across an increasingly complex hybrid cloud infrastructure. However, 2019 doesn’t need to be a repeat of 2018. Comprehensive training and awareness campaigns will be the hallmark of 2019 as organisations look to change their employees’ mindsets when it comes to personal data. Encouraging employees to be more aware and consciously think about data protection will go far in reducing data breaches caused by human error. However organisations may need to start looking at technology solutions, such as Data Loss Prevention tools, to supplement and enhance their capabilities whilst their employees improve their data protection awareness. There remains a disconnect between the loss of data relating to millions of people and the impact on a personal level. Over the next year we expect to see organisations and regulators emphasise the risks on an individual basis and promote more awareness of how individuals can be better protected. With a better understanding of the personal risks associated to a large-scale data breach, we expect to see an increase in negative sentiment towards data breaches. We will then ultimately see an increase in the volumes of customers abandoning their relationship with an organisation, citing the data breach as the reason.